The Typing of the Dead (ザ・タイピング・オブ・ザ・デッド Za Taipingu Obu Za Deddo?) is an arcade game developed by WOW Entertainment and published by Sega for the NAOMI hardware. 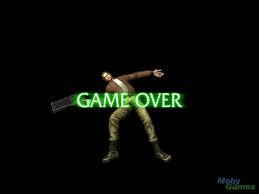 The game was first released in Japanese arcades in 1999, and was then ported to the Sega Dreamcast in 2000 by Smilebit. A Windows version was released that same year, and a PlayStation 2 port followed in 2004. The Typing of the Dead is a modification of Sega's 1998 light gun arcade game, The House of the Dead 2, replacing that title's gun with a computer keyboard. The player takes the role of a secret agent in a zombie-infested Venice, and must quickly type letters, words, and phrases in order to kill fast-advancing enemies. Despite falling under the criteria of "edutainment", the game was lauded by mainstream game critics for its humor, difficulty, and originality. 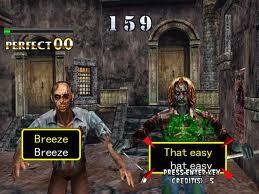 The PC version of The Typing of the Dead sold 120,000 units in 2003. 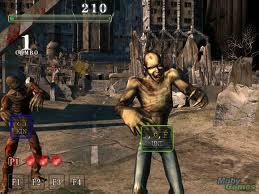 In 2012, an iOS remake has been announced, as a mobile app entitled Flick of the Dead.